That’s the conclusion of a report from the Local Government Association (LGA), which represents 370 councils in England and Wales, and which also says the illicit trade are undermining efforts to reduce tobacco consumption. The LGA wants UK courts to impose bigger fines for selling illegal tobacco products, which typically contain even higher levels of toxic ingredients such as tar, nicotine and carbon monoxide than genuine brand-name products. They also pose a greater fire risk as they do not include designs that ensure that a lit cigarette will self-extinguish if not actively smoked. 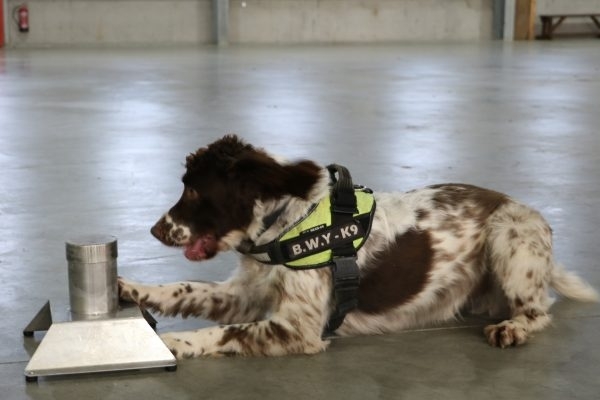 The scale of the trade in illicit tobacco – and the profits that can be made by the criminals engaged in the activity – is witnessed by reports that a £25,000 contract has been taken out on police sniffer dog Scamp, who has been a key weapon in UK enforcement operations. Scamp has helped seven trading standards services in the southeast of England seize nearly £250,000 of fake tobacco products, class A drugs and cannabis. The contract “was believed to be linked to an organised crime group and the relevant authorities were informed,” said Scamp’s owner Stuart Phillips, who runs BWY Canine in Pembrokeshire. “I’ve also had death threats, my windscreen has been smashed and my tyres slashed,” he added. In recent prosecutions illegal stashes of cigarettes have been found hidden in sophisticated hiding places in the walls and floors of shops and secret panels in cupboards. Trading standards officers have previously found illegal hauls hidden in toilet cisterns, in boxes of sweets, behind extractor fans and ceiling lights. Illegal cigarettes are sold at what Stuart describes as ‘pocket money prices’ making them readily available to children and to smokers who would not otherwise be able to afford them. Worldwide, the illicit trade is estimated to be a $40bn- to $50bn-a-year problem, according to the EU’s Anti-Fraud Office (OLAF).